Authors: Dr Rodney J Mailer, Kerrie Graham and Jamie Ayton. This report is the second stage of a study on storing of olive oil in collapsible containers. The prime purpose of both studies has been to illustrate the influence of the different types of material from which the containers are manufactured on the storage life of olive oil. However, the secondary aim was to illustrate that the external environment in which the containers are stored also has a powerful influence on oil quality. This report provides information about the effect of exposure to oxygen, light, and storage temperature on the quality of olive oil. 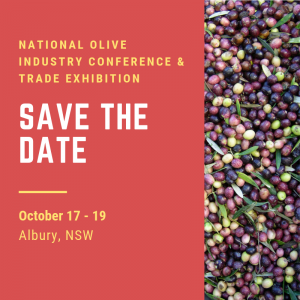 Olive oil has been shown to quickly deteriorate when stored under less than ideal conditions. Sometimes growers produce oil with very high quality initially, which quickly deteriorates due to the conditions under which it is stored. Authors: Dr Rodney J Mailer, and Kerrie Graham. The outcome of this study reinforces that the best storage conditions for olive oil is in opaque, impervious and inert containers, stored at cool temperatures. Stainless steel or gladd would appear to be the best options for long term storafe. Metallised flexible bags used for short term transport may provide reasonable protection. Storage in clear plastic, particularly in the light and at elevated temperatures, is clearly unacceptable and will result in total loss of extra-virgin olive oil quality within weeks and perhaps days. Re-use of these containers would appear to be highly undesirable and would be expected to cause more rapid degradation.